Have you ever wanted to feel like a kid again, dress up in your fanciest princess attire or superhero costume and head over to the Magic Kingdom? 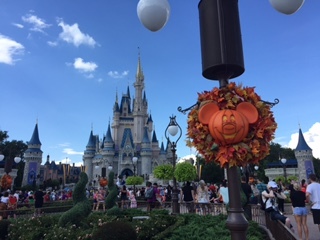 Normally adults are not able to dress up in costumes and attend the parks, but during a special ticketed event called Mickey’s Not So Scary Halloween Party they can! Don’t feel like dressing up but still love Halloween? Then this party is still for you! 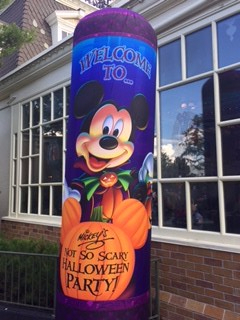 During Mickey’s Not So Scary Halloween Party, guests are able to enter the park at 4 PM to enjoy a few rides before the official party begins at 7 PM. 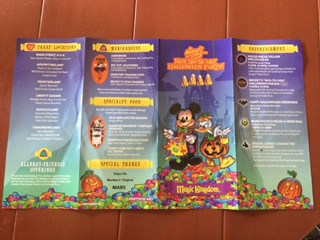 Once the official party begins, guest are given trick-or-treating bags where they can feel like a kid again and go trick-or-treating at special treat stations. 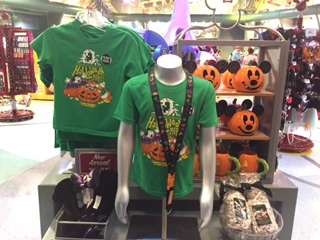 If you have an allergy that prevents you from eating the candy have no fear- Disney participates in the teal pumpkin program and will have an exchange area so all guests can take home a treat! The trick or treating is just the beginning of the fun! During MNSSHP there are special meet and greets with rare characters. Some that were spotted this year are Moana, Jasmine alongside the Genie, all Seven Dwarves, Prince Eric and Ariel in her dress from when she turned human, and Belle with Gaston. 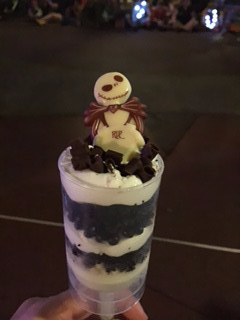 Jack Skellington and some of the villains can be found as well. After you have done some trick or treating and visited some characters, it would probably be time to watch the exclusive Boo to You Parade. 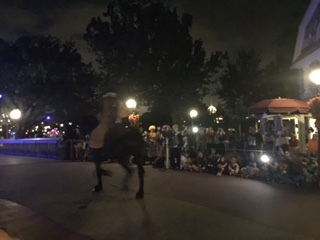 The Headless Horseman begins the parade by riding through Frontierland before going down Main Street. Following him is a fun, not so scary parade! There is more fun after the parade with a Hocus Pocus stage show where the Sanderson sisters team up with some of Disney’s famous villains for an unforgettable show complete with songs that will get you dancing. 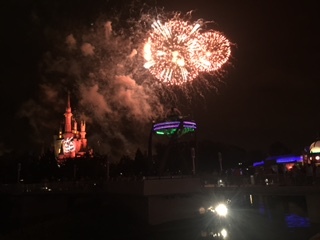 The evening will culminate with an amazing projection and fireworks show on the castle. 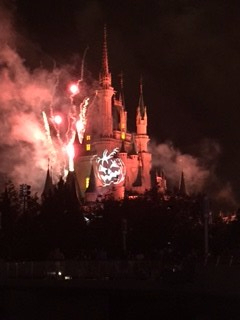 The songs are catchy, the ghosts are spooky and the fireworks are incredible. 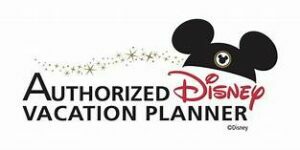 Even with all of these exciting special events going on, the rides and select restaurants are still open for you to enjoy. 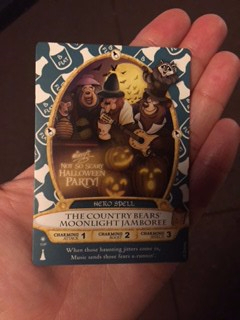 There is also a special Sorcerers card that is exclusive to the event. My family loves to collect the cards, so this was an added bonus for us! Along with the card, there is special merchandise for sale to commemorate your time at the party.